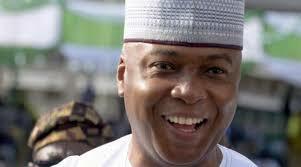 Saraki hails Supreme Court verdict, says trial politically motivated – Royal Times of Nigeria. Senate President Bukola Saraki has expressed delight at the Supreme Court’s judgment that freed him of the charges of false asset declaration brought against him by the Federal government. 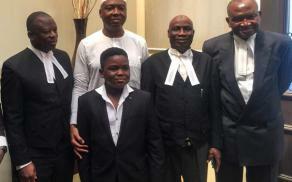 Saraki, who had been involved in a series of court cases for almost three years, was finally discharged of all the charges by a five-man panel of judges led by Justices Centus Nweze on Friday in Abuja. The Supreme Court, however, held that there was no basis for the Court of Appeal to have asked Saraki to defend himself on the three charges, having found the entire evidence of the prosecution as a product of hearsay. In a statement issued on Friday, Saraki said at the end of a tortuous journey of 1,018 Days, the Supreme Court has observed that certain agents took over the responsibility of the Code of Conduct Bureau in this trial to vilify him. He added that his acquittal further strengthens his confidence in the judicial process and the ability of the judiciary to do justice in all circumstances. He however lamented that the various arms of government had wasted resources needlessly on the politically motivated case. Saraki called on his persecutors to henceforth leave him to do the work he was elected for, so that he can continue to give his all to this great country.